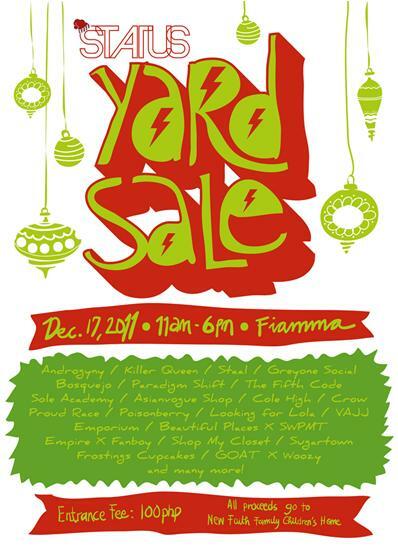 STATUS Christmas Yard Sale on December 17, 2011. Yard Sale Hours: 11:00am to 6:00pm. Entrance fee is at P100 and ALL door charge proceeds will be going to New Faith Family Children's Home. DJ sets by Vick Sison, Renz Unson, Toons Canoy, and Katsy Lee.